My friend, Carolyn, came to see me this weekend. She was in town for a conference and I was so glad she was able to stay with me. You may recall I spent Thanksgiving with Carolyn and her son, and her wonderful husband, Chef Pedro. 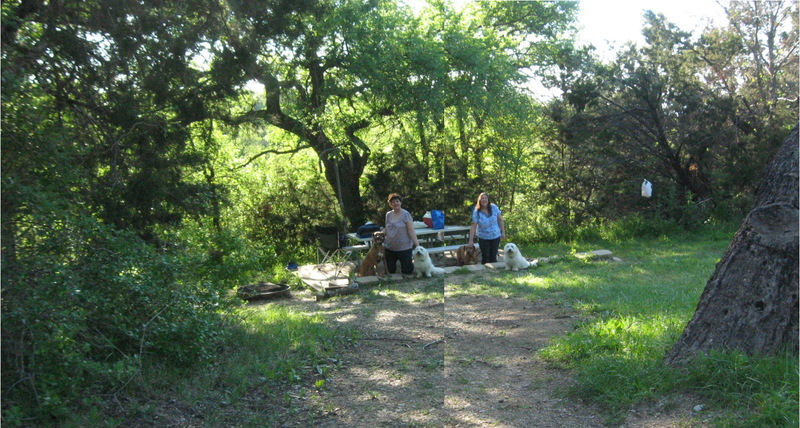 You can see those pictures (here, 11/24/11) and (here, 11/26/11). The title of today’s blog comes from another huge blessing in my life. You see, Carolyn’s dream is to have a quaint Vintage China/Thrift Store when she retires. I can’t wait to see her store! It’s going to be one of those places you never want to leave. And with Carolyn’s touch, it will be something really special. She’s been collecting a few things here and there for her store inventory, but guess what she decided to purchase as her first big investment? My Currier & Ives Royal Blue China!!! How cool is that?!?!? 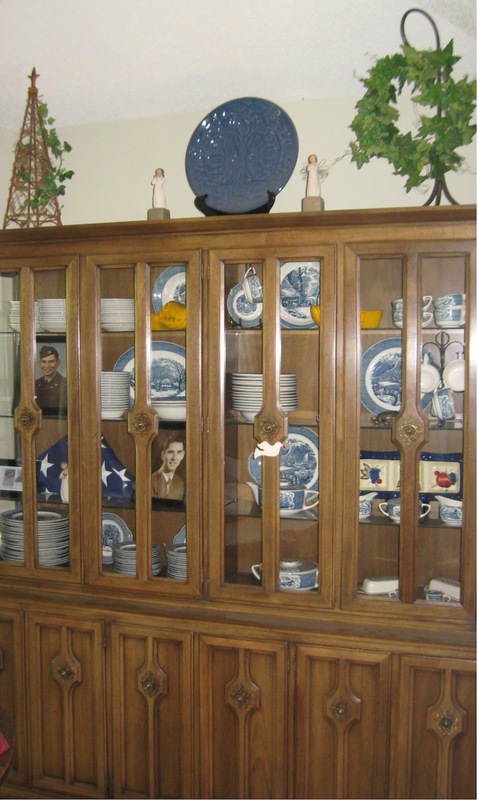 Here’s a picture of it in my china cabinet. My game plan is to sell everything I own that won’t fit into an RV. I want the bulk of all my items gone by June 1. There’s nothing special about that date, it’s just that I plan to have a HUGE garage sale in the beginning of May and I’ll sell whatever is left over on eBay or Craig’s List. My only concern and heartfelt wish (and prayer) has been that my China be sold as a set, and that it have special meaning to whoever bought it. I really didn’t want to have to sell the pieces individually (that would have broken my heart) and I certainly didn’t want to end up having to sell it to a broker (that would have broken the bank, LOL). Voila! Mission accomplished and prayer answered. You see, I have been collecting this China for 35 years. I have been told by Currier & Ives experts that it is probably the largest private collection in the country. To achieve my goal of living fulltime in my RV one day, I was finally ready to let it go. It’s the right time, the right place, and it went to the perfect person. 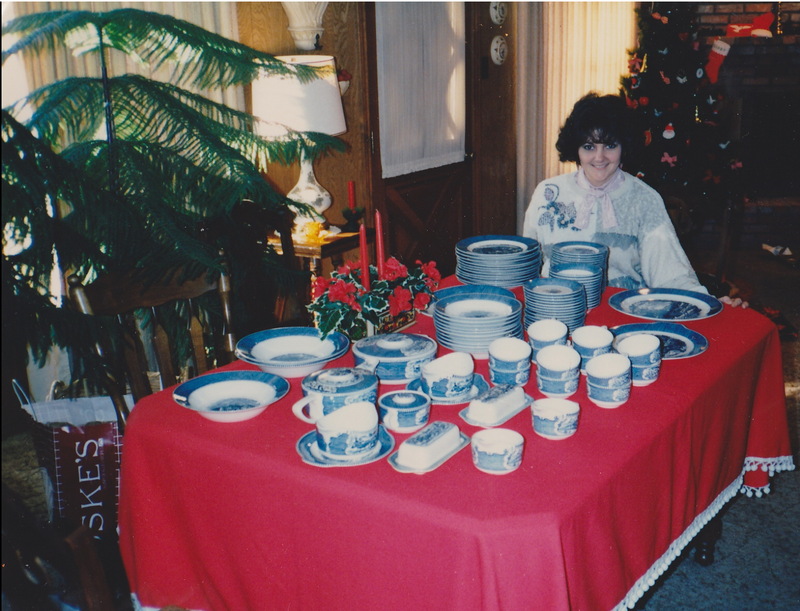 Here’s a picture from Christmas one year when my ex surprised me with a huge portion of my collection that came from an estate sale. Look how young I was! And skinny! LOL. Also, the timing of Carolyn’s decision couldn’t have been better. I took Betsy, my ’93 Buick, to my mechanic yesterday morning. You may recall that in January, I had to have the brakes done and then last month I had to have the front tires replaced. I’m not exactly rolling in the dough so I put off taking my car in this time for as long as I thought I possibly could. Well, it couldn’t wait anymore because the engine definitely had something wrong with it, and was so loud, that you could no longer hold a conversation in the car while driving. Carolyn said it sounded like a jet on the tarmac gearing up for takeoff. It turns out it wasn’t the engine, the wheel bearings were going out. In fact, my mechanic, (One of the best ever! I love this guy!) took Betsy for the test drive, pulled out of the parking lot, went to the 1st street and turned around immediately to head straight back. It evidently was so bad, and so dangerous, he wasn’t willing to drive any further. He knew immediately what it was. And when he explained that the wheel could fall off at any time, or worse, the car freeze up while still in motion, I knew I had to leave it with him and come up with the money somehow. 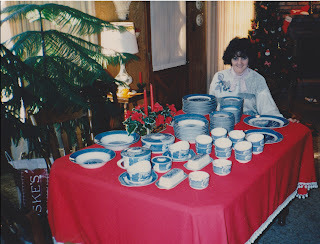 Later that day Carolyn asked if I’d be willing to sell my China to her as her first big purchase for her store. She was ecstatic that I said yes, and overcome with blissful joy because it moved her closer to her dream. Her purchase paid for my car repair and also put me closer to my dream of owning my RV and being on the road one day. Two Dreams in One Day…. if that isn’t Living In Grace, I don’t know what it is. I meant:" When you go girl you really gooo..."
It is fun when the fingers slip. Well what a wonderful day that turned out to be for both of you. @ Ann - right? We both felt very blessed. @ Sandra - yep, my mechanic said that if it freezes up instead of falling off, most cars flip end over end. :( I am very lucky and blessed. Off to another amazing week getting closer to your dreams Debra! What would you have thought way back when that picture was taken if someone had told you where you'd be today?